Amigurumi is a particular style of Japanese crocheting. 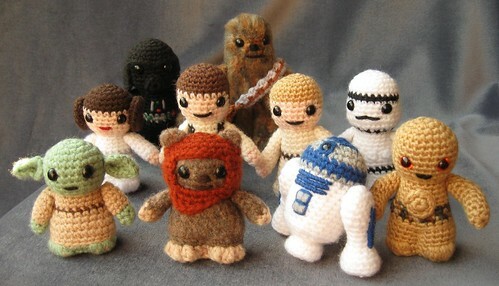 Etsy user lucyravenscar made this adorable Star Wars set and sells the pattern for $9. I'll suggest it to my wife when she's done with her current afghan.